Tropical, quiet condominium complex nestled among million dollar homes just one block away from the beach AND it's in a GREAT location within the complex! 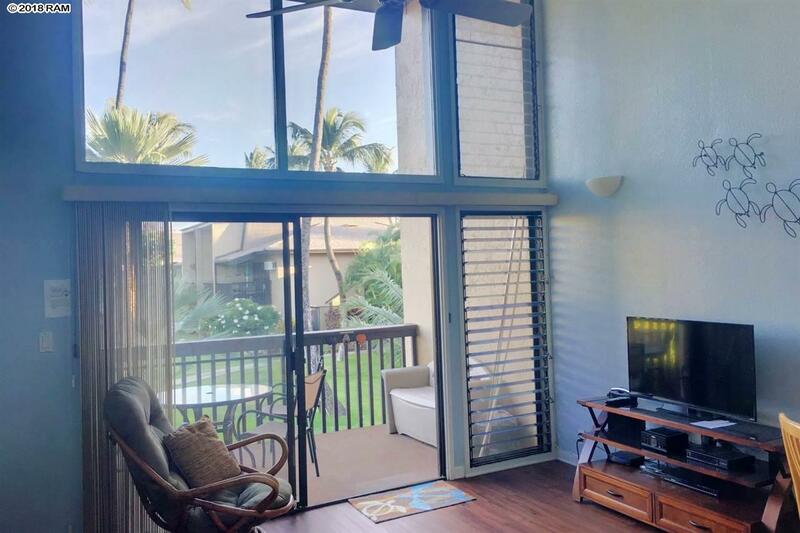 When you enter this inviting 2 bedroom 2 bath condominium, you are greeted by the 2 story floor to ceiling windows, new flooring and bright, fun colors that match the Hawaiian Lifestyle perfectly. The easy floorplan ensures relaxed living with the open concept living area and kitchen, yet still has the privacy of the upstairs large master suite. The amenities include a nice swimming pool and spa along with an outdoor BBQ area. This property has a very successful vacation rental history and is being offered turn-key, so you are more than welcome to bring your suitcase and move right in or rent it out as extra income!